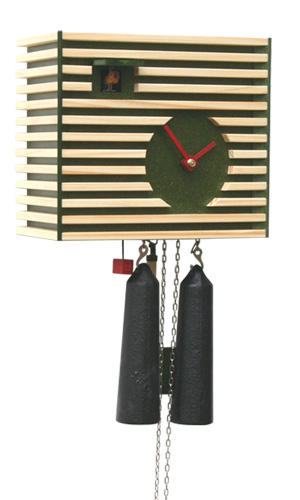 Cuckoo Clock with 8-day movement (mechanical). 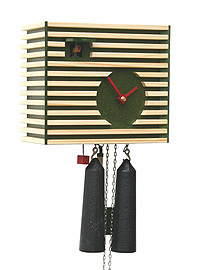 This is a very unusual cuckoo clock from the Bauhaus Design Collection of Rombach & Haas Clocks. size: 7.9 inches tall; 2 x 1260g weights. made by Rombach & Haas Clock Factory, Schonach, Black Forest.